Reduced energy use through a full-building lighting control program. Recycling of all building materials removed during tenant or building improvement work, and installation of recycled or new construction materials with low or no VOC’s. Green cleaning practices with on-going monitoring of products and procedures. Sustainable practices in the administrative management of Kaiser Center, such as the use of online reporting and filing tools to dramatically reduce paper use and the purchasing of office supplies made from recycled materials. Hybrid parking is provided as an amenity at the garage facility with exclusive, convenient and highly visible parking stalls. We think Mr. Kaiser would be proud to know that his state-of-the-art building and his vision for an enduring Oakland presence has been recognized with this award! Kaiser Center achieved its first Energy Star rating in 2009. Subsequent years’ ratings have increased dramatically due to improvements implemented throughout the years, such as lighting and fan speed control. Current Energy Star rating is 83. The Swig Company helps California meet environmental goals through a step-by-step implementation of “Going Green” at Kaiser Center. Commercial buildings place the largest impact on the quality of our environment, more than transportation and industry. 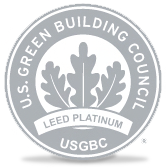 Kaiser Center is committed to doing its part to reduce the impact on the environment. Green cleaning was successfully implemented at Kaiser Center in 2007 and modification to products, equipment and practices occurs when appropriate. Kaiser Center provides a comprehensive, single-stream recycling program. This program offers the convenience of disposing all recyclable content into one receptacle rather than having to separate materials. Electronics recycling is an important element of the Center’s overall recycling program, as loosely discarded, obsolete or broken electrical or electronics may contain contaminants that could cause health and/or pollution problems. The Center’s electronic waste and hazardous materials removal programs were implemented in 2008 and are successfully maintained today. The e-waste program provides free electronics recycling to its tenants on a quarterly basis, accepting computer monitors, cellphones, cables, VCR’s, etc. Hazardous materials removal is provided on an as-needed basis, also free of charge, and includes items such as batteries, light bulbs and toner cartridges. Many people have labeled composting as our earth’s oldest recycling system. Composting is nature's process of recycling decomposed organic materials into a rich soil known as compost. Anything that was once living will decompose. Basically, backyard composting is an acceleration of the same process nature uses. Compost offers many benefits to the landscape and garden. For example just to name a few compost improves soil tilth condition, and structure, increases the soil's ability to hold water and nutrients, buffers soil from chemical imbalances, helps return organic materials to the soil and keeps them out of landfills and waterways.